Deen Kogan, 87, cofounder of the Society Hill Playhouse and a woman who nurtured the arts in the city for decades, died at home March 28 while recovering from a recent back injury. In 1960, she and her husband, Jay, opened the playhouse that became a platform for experimental and avant garde theater. 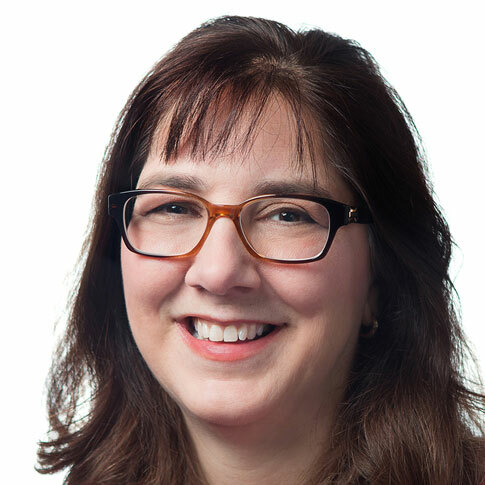 Her passion for the arts and her community extended throughout Ms. Kogan’s life as she introduced street theater to Philadelphia, started a youth theater project, and founded a school for the arts. She was also co-owner of Port Richmond Books. “She was a powerhouse,” said family friend Devon Allen. Born in Cumberland County, Md., Ms. Kogan came to Philadelphia, where she attended Temple University, graduating in 1951. She and her husband then attended the University of Colorado to earn master’s degrees in the arts. They lived in Europe for a year, working at the Piccolo Theater in Milan, Italy, and at a theater in Zurich, Switzerland. She was an accomplished director, actress, and producer, her friends said. The Kogans opened their playhouse as Philadelphia’s “off-Broadway” theater for contemporary American and European playwrights. As the theater became more successful, it offered mainstream, long-running plays, such as Nunsense, Menopause the Musical, Lafferty’s Wake, and Three Penny Opera. Ms. Kogan performed as Sally Bowles in I Am a Camera. Playhouse premieres included Jean Genet’s The Blacks, Brian Friel’s The Volunteers, and productions such as Rocky Horror. In 1986, she designed a cabaret theater — the Red Room — in the playhouse to introduce new playwrights and mystery writers, resume experimental work, and host readings for plays never produced. Turlish said she was among “hundreds of children” the couple mentored. From 1970 to 1983, the Kogans ran the Philadelphia Youth Theatre, teaching play production, dance, acting, and set design. Actor Kevin Bacon is among the school’s alumni. While desegregation of theaters was still a concern, Ms. Kogan created Philadelphia’s first Street Theater with integrated casts from 1968 to 1970, bringing productions to neighborhoods on a flatbed truck that served as the stage. Ms. Kogan was an avid reader and especially enjoyed mysteries. Her husband had long had an interest in owning a bookstore. When he died in 1993, Ms. Kogan asked a recently retired friend, Greg Gillespie, if he wanted to partner in owning a bookshop. Gillespie said the Kogans became part of his extended family after he auditioned for his first play at Society Hill years earlier. “She bought it,” Gillespie said of the bookstore. “She was the biz person, I was the book guy.” They stocked the shelves with 400,000 books and invited authors to do readings. Among other interests, Ms. Kogan enjoyed traveling, was a baseball fan, and had a fondness for opera, jazz and the Mummers. She chaired national Bouchercon Mystery Writer Conferences in 1989 and 1998 in Philadelphia. She was founder of the Mid Atlantic Mystery Book Association and was an active board member for the International Association of Crime Writers. She served on Temple’s library board and in 1974 was named a Distinguished Daughter of Temple University. Ms. Kogan was preceded in death by her husband and by her brother, Stephen Falk. Ms. Kogan requested that there be no public services, her sister said. She will be buried at Arlington National Cemetery. Donations in her honor may be made to the Philadelphia Foundation, (Jay and Deen Kogan Fund), 1835 Market St., Suite 2410, Philadelphia, Pa. 19103. SAN FRANCISCO CHRONICLE: Kent Harrington once again shows why he is the best. Along with the photos, tourists — or anyone, really — might find a place for Harrington’s book and Christopher’s Moore’s “Noir.” Besides satisfying twists and reveals and sharply drawn characters, these two thrillers come replete with images of the city by the bay that are gritty and bright, romantic and melancholy. Their shared location aside, the two thrillers differ greatly in tone. 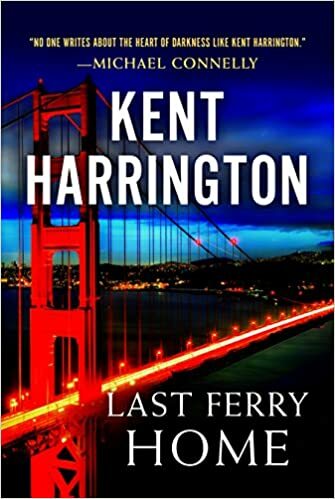 Harrington’s “Last Ferry Home” is a sober police procedural with a surfeit of details that fans of the genre will savor. Were two children picked up at a neighbor’s home at 5:15 or 5:45? Why is a dagger, allegedly the murder weapon, smaller than the depth of the victim’s wounds? And why is the State Department interested in a domestic double murder? And O’Higgins needs healing. Nearly a year ago, his wife drowned at sea in a boating accident. A therapist he sees insists that O’Higgins stop popping Valium and confront his tragedy. The vividly written passages describing the detective’s journey back to the horrific moment surge with grief. O’Higgins emerges as a strongly drawn character, but so, too, are all the others who appear here. “Last Ferry Home” is standout work. Christopher Moore, also a Bay Area author, says the tale he spins in “Noir” (a title that makes it easy for bookstores and libraries to find the right shelf for his book) is “perky noir,” owing more to Damon Runyon than Raymond Chandler. Perky it is, and suffused with nostalgia for San Francisco in 1947, when the action takes place — and when language and attitudes, Moore forewarns us, were not politically correct. Sammy’s problems are Stilton and a snake. One night a friend takes him to a “snake whiz place” where, for $20, older Chinese men drink a concoction of noodles and snake urine said to steel the men’s erections. (The deadlier the snake, the men claim, the better the results.) Sniffing a chance to make some bucks, Sammy orders a black mamba from a friend in Boise, Idaho. On arrival, the deadly reptile slides from his crate and and starts sinking its fangs into victims around town. Before you can say femme fatale, Sammy and the lady pass a long night of passion. But then, days later, the Cheese disappears, leaving a bereft Sammy desperate to find her. His junket largely forms the rather simple arc of the story, which expands to draw in a black man determined to work as a Secret Service guard to Franklin D. Roosevelt, even though Roosevelt has been dead for some time; an Air Force general from Roswell, N.M., where a flying saucer has crashed; and a group of respected city professionals carrying on strange ceremonies up north.There’s fun in following Moore’s shaggy-dog plot, though some readers may find its ending loopy. “Last Ferry’s” protagonist laments that “a rough-and-tumble legendary west coast port city (is changing into a] one-size-fits-all New America.” These two thrillers preserve a city where most everything comes in all sizes. NOIRFEST in Frenchtown, New Jersey - "WHEN TIMES WERE TOUGH, MOVIES GOT TOUGHER" - WILL YOU BE THERE? "WHEN TIMES WERE TOUGH, MOVIES GOT TOUGHER"
A multi-media mini-festival celebration of the genre Film Noir grew out of the World War Two era as a cultural and literary response to the existential darkness in human nature that was revealed at that time. It’s time to remember that artistic interpretation of experience in light of today. 3) Film – A mini-festival of classic famous and obscure noir movies. 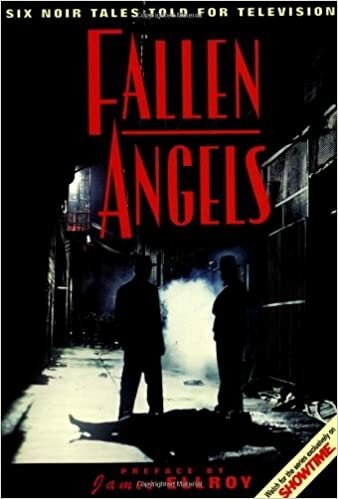 4) Television – a rare screening of episodes of Fallen Angels, which I produced for Showtime. 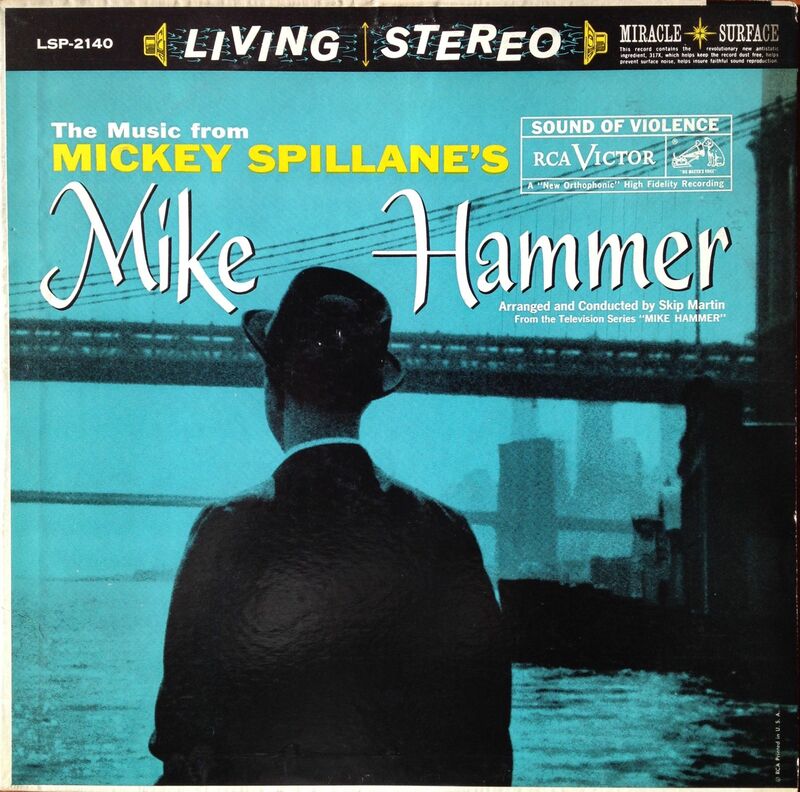 6) Music – I have this album, for background music, but it would be fun to find a band to play music in this genre. Or maybe Matthew Cullen to recreate a film score in this style. 7) Speakers – most importantly, I would like to involve and invite two close friends to be a part of the show – Howard Rodman, screenwriter and president of the Writers Guild, and Scott Frank, writer, director, author. They were both part of Fallen Angels and are Noir aficionados and authorities. Howard is also friends with BARRY GIFFORD (Lost Highway) if we wanted to invite a contemporary author to give a reading. I think this could be a unique, immersive and original experience. I am imagining a Friday/Sat/Sunday show. Obviously the more gallery space that is available to hang art the better. I’m hoping we could hang it and have the show and take it down over one week. I’d love to NOT have to frame the large posters; they are huge and I have no where to put them after the show. But they are in sections, so we would have to see if we could devise a clever way to hang them temporarily. I was imagining Chris could build something cheaply as wall mounted racks for all the paperbacks. It would be cool if it was a Wall of books, like when you had the wall of nails.